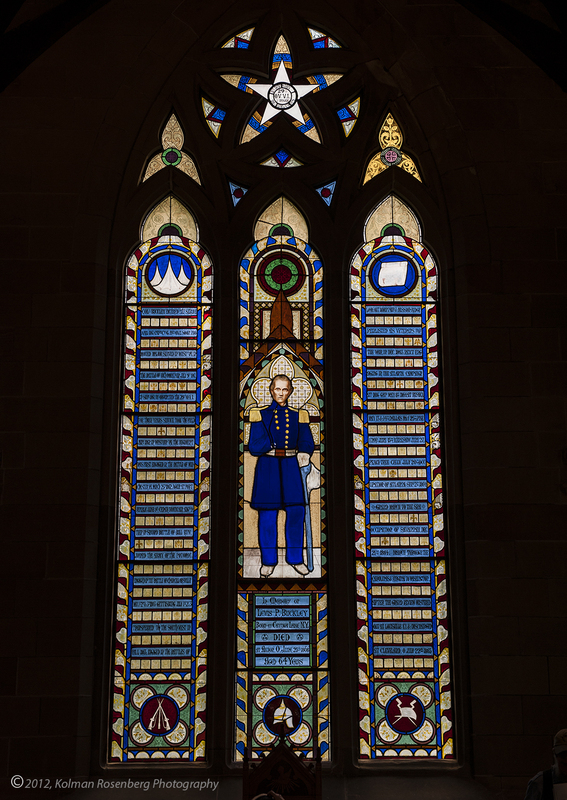 This second window was found in the chapel at Glendale Cemetery in Akron, OH. It commemorates America’s Centennial Celebration in 1876. The 3 panels denote the Revolutionary War, the War of 1812 and the Civil War. The deep vibrant colors are spectacular. 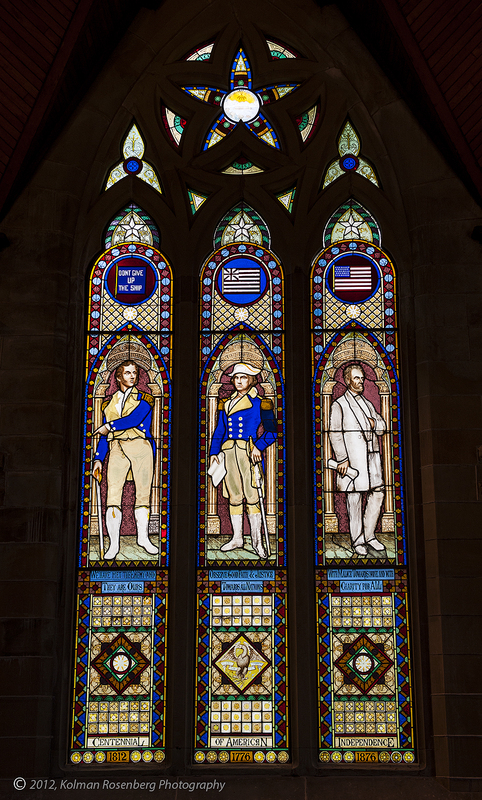 This third window, also located at Akron’s Glendale Cemetery is a tribute to the memory of Civil War Union Officer, Lewis P. Buckley. He is pictured in the center panel and the left and right panels document milestones in his life and the battles of the Civil War in which he fought. Wherever they are found, these stained glass windows attract my eye and my camera lens. 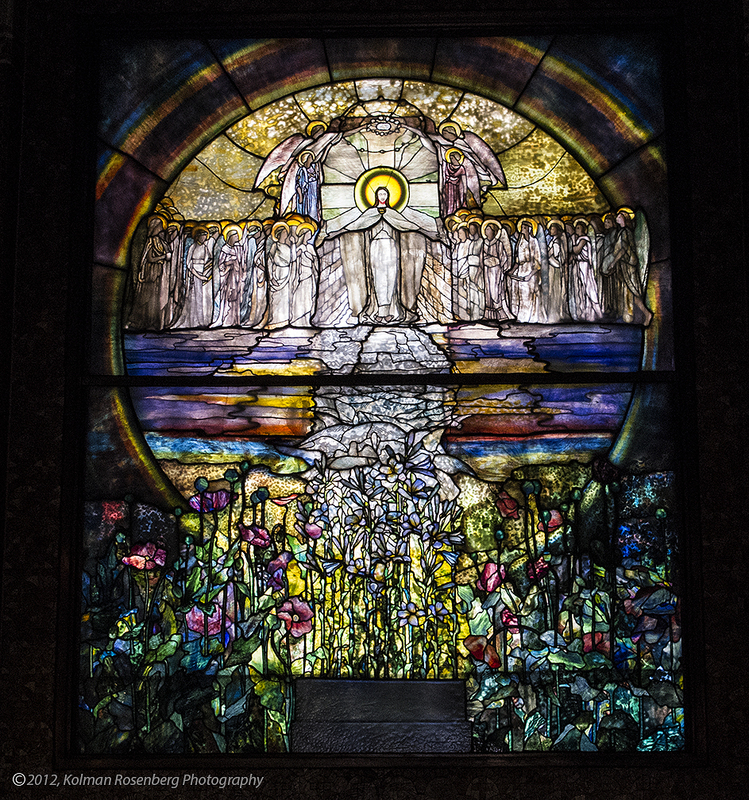 This entry was posted in Uncategorized and tagged akron, art, beauty, cemetary, Cleveland, color, colorful, fumes, glass, glendale cemetery, iridescent, lakeview, lakeview cemetery, louis comfort tiffany, OH, ohio, opalescent, stained glass, tiffany, window. Bookmark the permalink. Stunning shots Kolman! I just love stained glass. Thanks for the education on Glendale Cemetery I never knew that it was there and with beautiful stained glass windows too! Thanks Barb! CPS had a fieldtrip there a few years ago. I was unaware of it up til then, it’s a very nice cemetery with a nice, small chapel. Very nice stained glass photos. They convey the dignity of those creations. I was very aware of the cemetery. My high school (West High) was located next to it. Many spooky scenes to see out of our classroom windows during bad weather.. Thanks Joe! A very nice cemetery! Nice view huh? Kolman, your stained glass photography is gorgeous. I like how you can click on the image and see an enlargement. Nice work!